I haven’t had shrimp in a really long time. I forgot how much I used to love it. After traveling to Dominican Republic, I returned inspired to try tropical recipes. What’s more tropical than a mango? 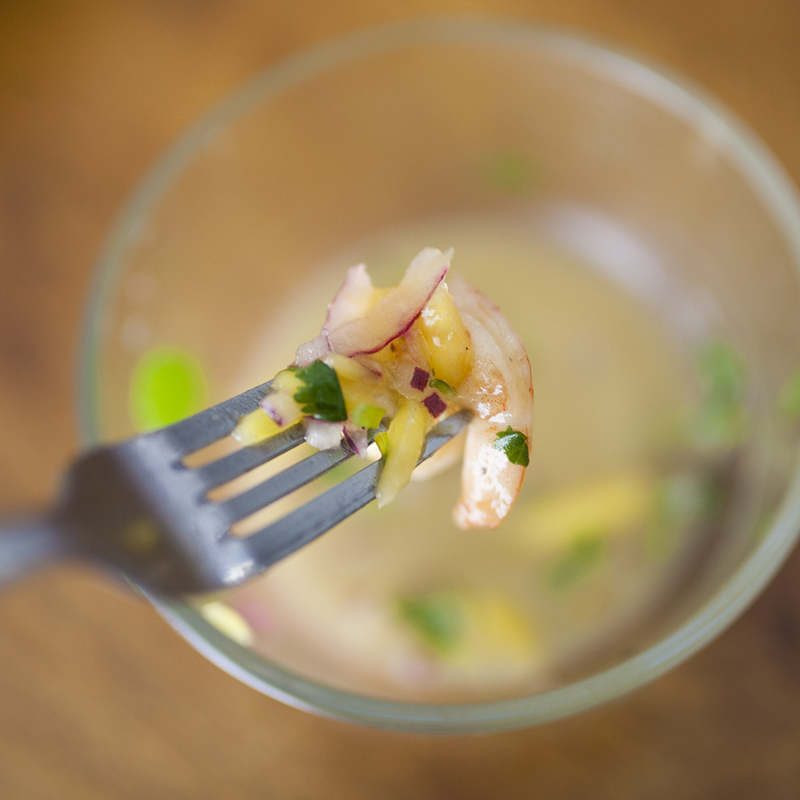 If you don’t eat shrimp, try this with any white, wild-caught fish, cut into 1-inch pieces. Sauteé shrimp in coconut oil. Add salt and pepper. Remove from flame after about 3-5 minutes or until opaque. Set aside to cool. 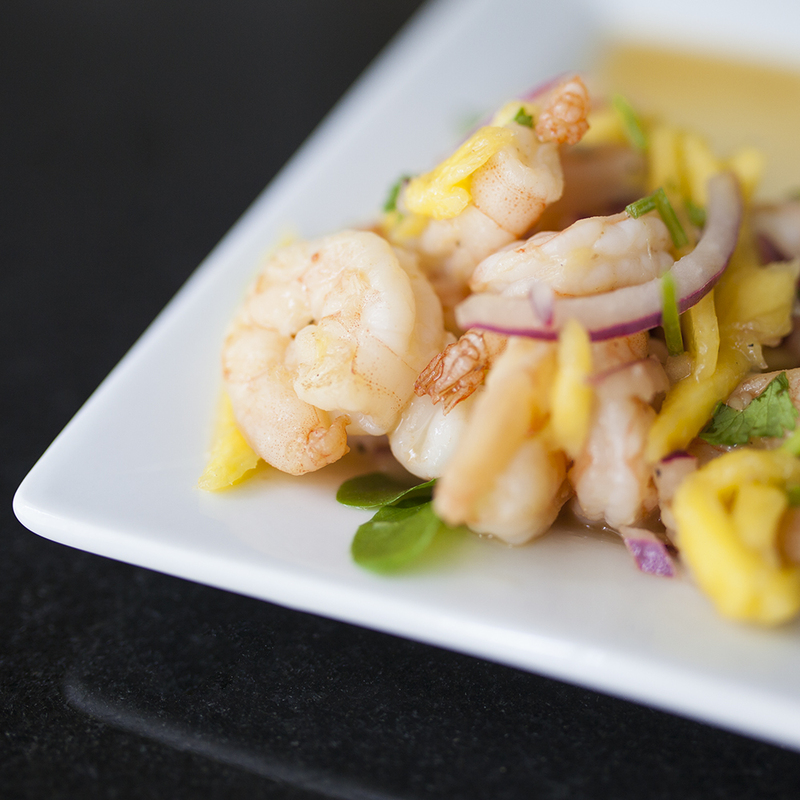 In a bowl mix chopped red onions, small pieces of mango, lime juice, and finely chopped cilantro. Add cooled shrimp (can be warm.) Add thin slices of onion and mango. Mix together and let sit for at least 10 minutes. The longer you leave it, the more the flavors mesh together. Serve room temperature or cold. Enjoy!